Ray Kurzweil, CEO and Owner, Kurzweil Technologies, Inc.
Brian Wong, CEO, Kiip Inc.
…with one more speaker to be announced. ETA is a one-day event dedicated to breaking ingrained assumptions and traditional ways of thinking to address today’s challenges. 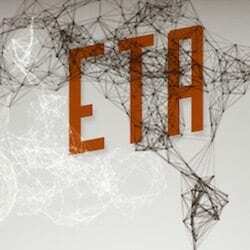 What really sets ETA apart from other events is its format. ETA puts attendees across the table and in discussion with renowned presenters, providing unparalleled access to real conversations with leaders in the field. See the full event details at etaevent.com. This exclusive invite gives you the option to purchase one of a limited number of tickets to the event that everyone in the advertising and marketing industry will be talking about in the months ahead. To purchase a ticket, CLICK HERE and input password: ETA12 A limited number of tickets are available and this invite does not guarantee you a spot, so register soon!